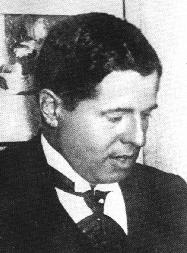 Lucien Denis Gabriel Albéric Magnard (French pronunciation: ​[lysjɑ̃ dəni ɡabʁijɛl albeʁik maɲaːʁ]; 9 June 1865 – 3 September 1914) was a French composer, sometimes referred to as a "French Bruckner", though there are significant differences between the two composers. Magnard became a national hero in 1914 when he refused to surrender his property to German invaders and died defending it. Magnard was born in Paris to François Magnard, a bestselling author and editor of Le Figaro. Albéric could have chosen to live the comfortable life his family's wealth afforded him, but he disliked being called "fils du Figaro" and decided to have a career in music based entirely on his talent and without any help from family connections. After military service and graduating from law school, he entered the Paris Conservatoire, where he studied counterpoint with Théodore Dubois and went to the classes of Jules Massenet. There he met Vincent d'Indy, with whom he studied fugue and orchestration for four years, writing his first two Symphonies under d'Indy's tutelage. Magnard dedicated his Symphony No. 1 to d'Indy; and the two men always respected each other, despite their marked political differences (Magnard was pro-Dreyfus). Magnard's house destroyed by the Germans, 1914. François Magnard did what he could to support Albéric's career while trying to respect his son's wish to make it on his own. This included publicity in Le Figaro. With the death of his father in 1894, Albéric Magnard's grief was complicated by his simultaneous gratitude to and annoyance with his father. In 1896, Magnard married Julie Creton, became a counterpoint tutor at the Schola Cantorum (recently founded by d'Indy) and wrote his Symphony No. 3 in B-flat minor. Magnard published many of his own compositions at his own expense, from Opus 8 to Opus 20. Similar to the oeuvres of Paul Dukas and Henri Dutilleux, Magnard's musical output numbered only 22 works with opus numbers. In 1914, at the beginning of World War I, Magnard sent his wife and two daughters to a safe hiding place while he stayed behind to guard the estate of "Manoir de Fontaines" at Baron, Oise. When German soldiers trespassed, he fired at them, killing one of them, and they fired back and set the house on fire. It is believed that Magnard died in the fire, but his body could not be identified in the remains. The fire destroyed Magnard's unpublished scores, such as the orchestral score of his early opera Yolande, the orchestral score of Guercoeur (the piano reduction had been published, and the orchestral score of the second act was extant) and a more recent song cycle. Magnard's musical style is typical of contemporary French composers, but occasionally, as in the four completed symphonies, certain passages foreshadow the music of Gustav Mahler. His use of fugue, incorporation of chorale, together with the grandeur of expression in his mature orchestral works, have caused him to be called a "French Bruckner". Although Bruckner used cyclical forms long before d'Indy "trademarked" the concept to César Franck's name, Magnard's handling of cyclical form is more Franckian than Brucknerian. In his operas, Magnard used Richard Wagner's leitmotiv technique. Magnard's chamber works include a string quartet, a quintet for piano and winds, a piano trio, a violin sonata (in G, opus 13) and a cello sonata (in A, opus 20). A few more were published posthumously, including the Quatre poèmes en musique, four songs for baritone and piano. ^ M.-D. Calvocoressi, "Albéric Magnard" The Musical Times October 1, 1921, p. 683. "To all appearances, Albéric Magnard was born with the traditional silver spoon in his mouth. The only son of the wealthy influential editor of a leading Paris daily paper, it seemed as though none of the difficulties with which earnest-minded composers generally have to contend were to exist for him. Indeed, his first works were welcomed with an eagerness whose real motives he was not long in suspecting." ^ a b Malcolm MacDonald, "Magnard, (Lucien Denis Gabriel) Albéric", The New Grove Dictionary of Music and Musicians, second edition, edited by Stanley Sadie and John Tyrrell (London: Macmillan Publishers, 2001). Wikimedia Commons has media related to Albéric Magnard.